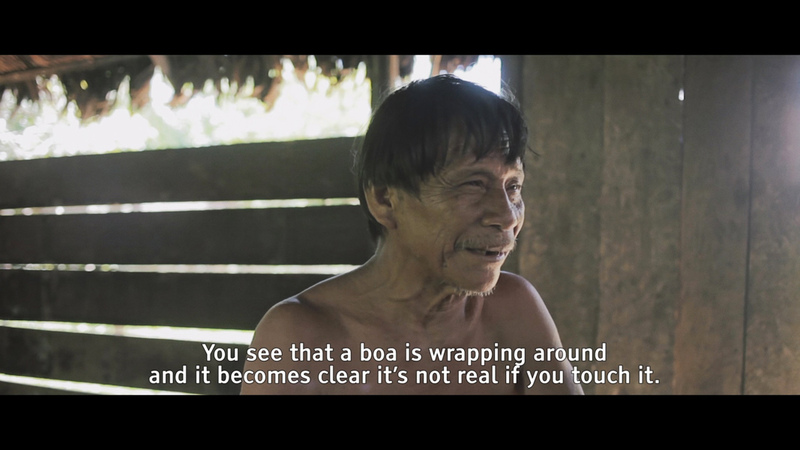 #12: Setting up camp at the Tambopata Hostal I managed to find the right person for an Ayahuasca ritual (and an interview): an old mestizo herbalist in a small village called Infierno, about an hour drive from Puerto Maldonado. I arranged the shooting and a few meetings prior to the ritual — but travellimg alone, was without interpreter. #13: So, when the day came, I just took off to Infierno with a sheet of paper with google-translated questions and hoped for the best. 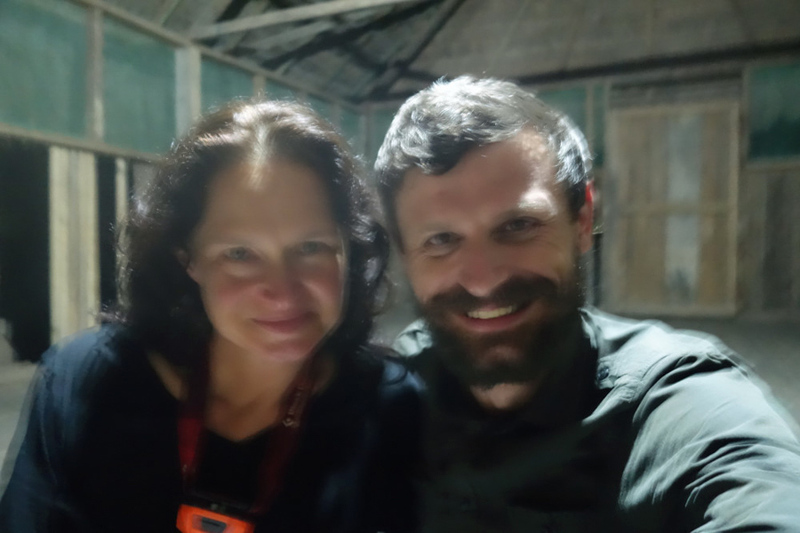 To my surprise, I found myself incredibly lucky: while scouting across the village for more footage I ran into Uscha, a German filmmaker and editor of London based VERY magazine whom I had met at the hostel in Puerto Madonaldo. She was temporarily stranded there after missing a boat to head further into the jungle... and appeared here out nowhere, in the middle of nowhere - making us two gringos in this unlikely place. She agreed to translate for me... and after the interview was curious enough to stay for a night ritual. #14: I had already undergone a mescaline ritual, sapo ritual with frog poison and also an Ayahuasca ritual - but the brew from Don Ignatio was by far the strongest. The shooting of the Peruvian part of the film took roughly 25 days. 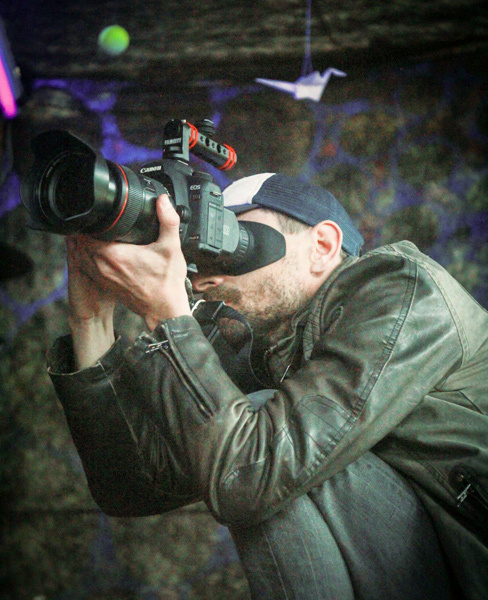 Filming 'guerrilla style' includes doing the job of several people by oneself: scouting the area for b-roll, researching, filming, interviewing with no actual script or knowing what comes next. I was working all day, travelling huge distances (9000 km in America altogether) and at the same time taking part in rituals with highly potent hallucinogens — but actually, my focus, effectivity and brainstorming potential was at its highest then. I felt that the best way to introduce the plant to someone who has never heard of it was to let the very people who work with it talk freely. Having spoken with a gringo and a mestizo, I was just missing a real indigenous person to complete the picture. 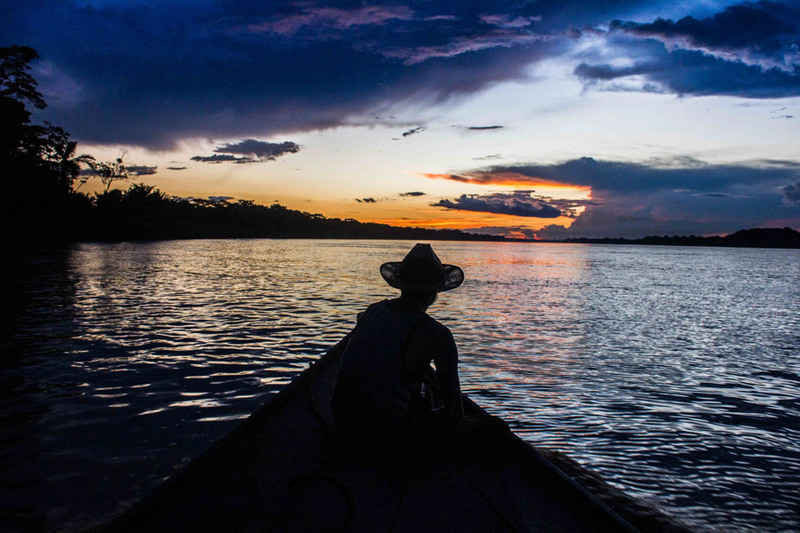 #16: I had found out that down the Madre de Dios river, about three hours by boat from Puerto Maldonado, lives a tribe of the Ese'Eja people who learned how to drink Ayahuasca directly from the Shipibo tribe. 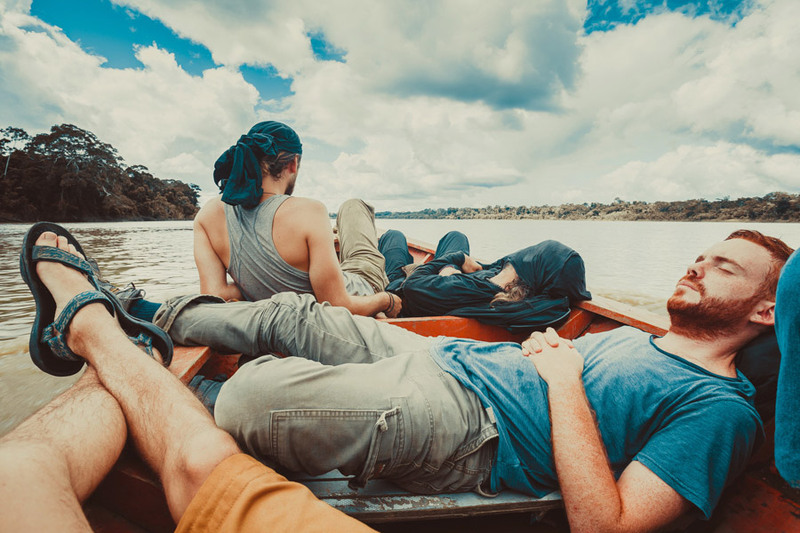 I checked back into the backpacker hostel and put together a crew of volunteers who had been recently kicked out from some 'jungle developing project': a filmmaker from Buenos Aires, a sociologist from Belgium and a lonesome Macedonian traveler who looked like an Eastern European version of Crocodile Dundee. 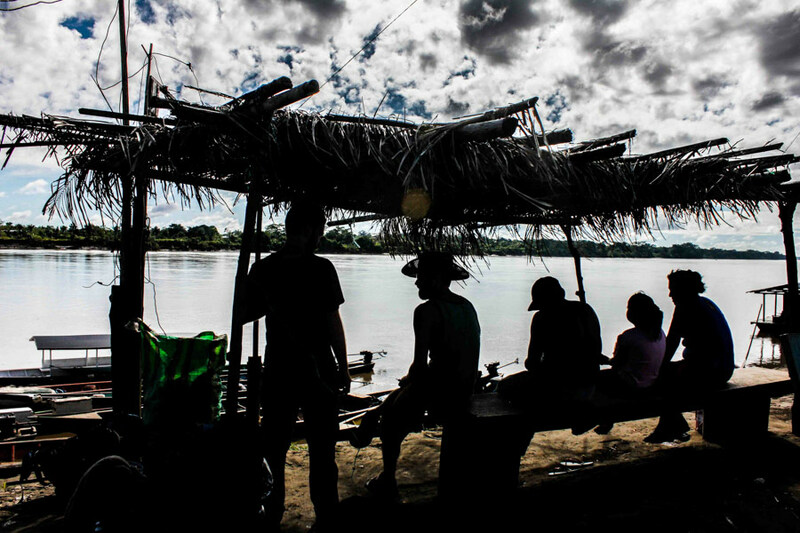 #17: We booked a boat and went downstream to reach Palma Real, a village of about 400 tribes people. We didn't know if they would accept us, but we took a chance. 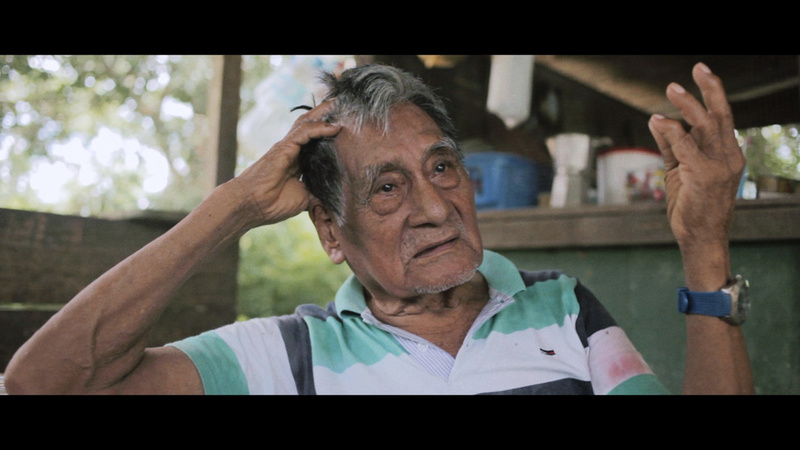 Logistically it was hell; we slept in wooden constructions with inch-long cockroaches, thousands of mosquitoes, almost no running water and no electricity - but the interview with the native curandero was the strongest moment of the filming as a whole. We were cooking Ayahuasca in a small Curandero's shack. It felt like 40 degrees celsius during the interview. But the biggest challenge of all was the linguistic one. Since the Esa'Eja tribe speaks its own language known to only about 1300 people on this planet altogether, we had to do multiple interpretations. First, I asked questions in English, then Alex as interpreter translated them into Spanish for the chief of the tribe who was able to interpret for the curandero in his own language. And vice versa with the answers. 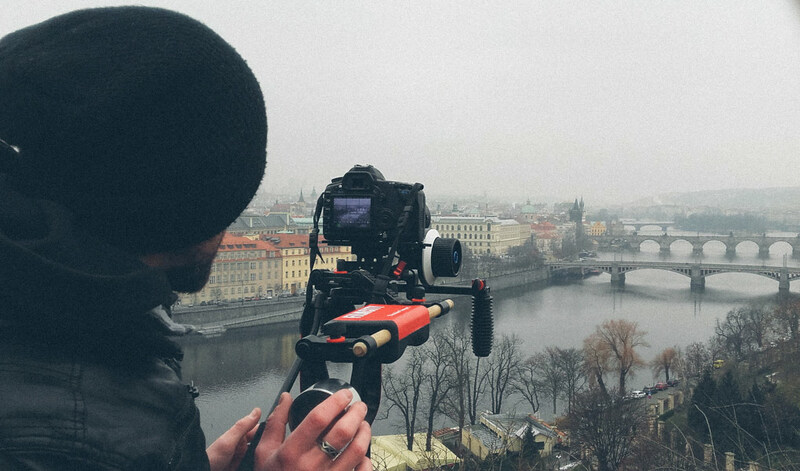 #19: In postproduction, we were twelve people working with the Spanish transcript to make meaningful translations into Slovak and English for subtitles. This is the main reason why the whole production took more than a year to complete. 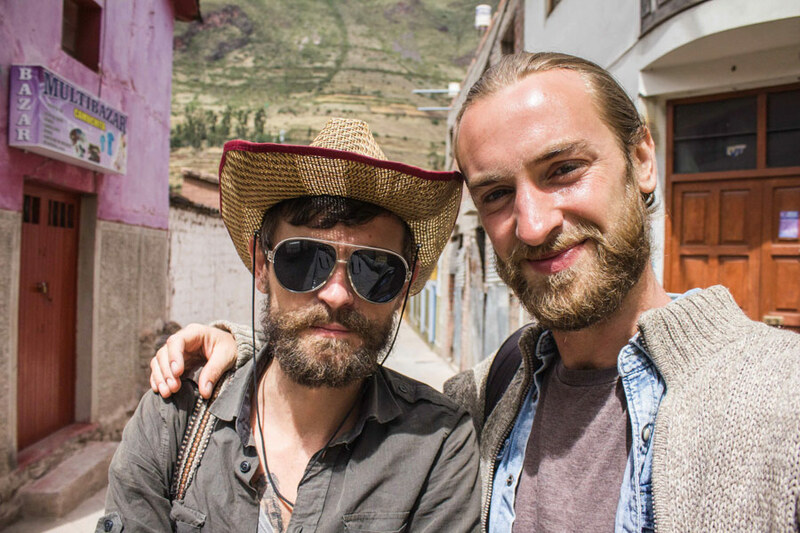 #20: The Ayahuasca ritual was very rough, tribal — and Alex quit eating meat afterwards. I saw things I cannot rationally explain, I saw various archetypes and I heard stories told by this plant which made me reevaluate my opinion on rituals, and how to actually use psychedelics. #21: Back in Europe I had enough footage, but somehow I felt I was missing something and that the story was not complete. The experience was life changing and the strongest of my life. But I didn't want to sound just like a hippie overexcited about "magic to be found in the rainforest." Prior to my trip to Amazonia I had participated in a psychiatric study of psilocybin – a psychoactive substance which can be found in magic mushrooms. Over the course of a year I had participated in four experiments in mental hospital facilities in Prague – two with the active compound, two with a placebo – in order to wirte about it. During those seven hour sessions I had long conversations with my sitter – Dr. Filip Tylš, one of the scientists exploring the therapeutical potential of substances such as ketamine and psilocybin. Dr. Filip Tylš is also a founder of Czech Psychedelic Society – a growing movement to continue research on psychedelics. It was a very big movement in the Eastern Block during the cold war era, these days it is aiming to educate the wider public about the risks as well as the medical potentials of psychedelics. 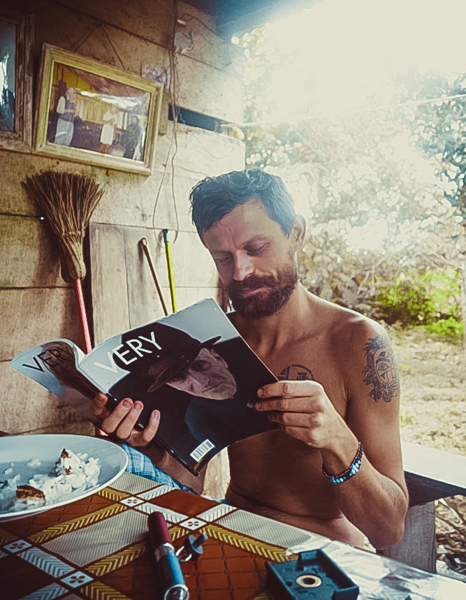 #23: To include a scientific point of view and to confront the ideas I had learned in the jungle with our “Western“ thinking, I asked Filip for an interview. A lot of them, in my opinion unfairly, are classified as 'controlled substances' - ironically, as with the same substances one could actually treat addiction. 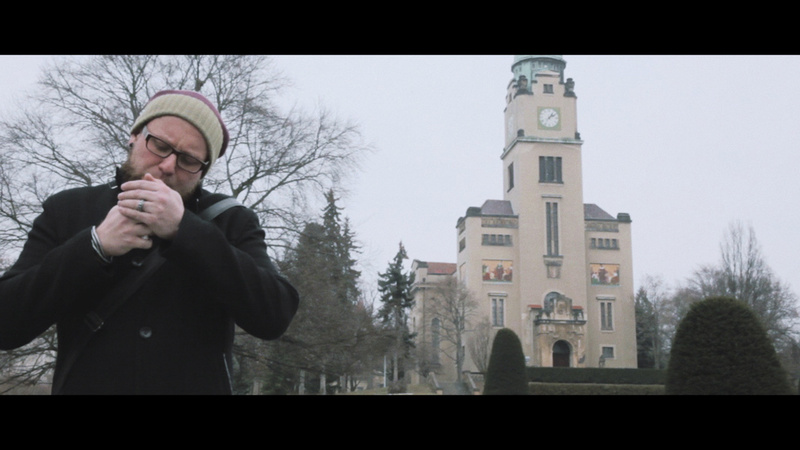 #24: The czecho-slovakian part took about a week to shoot. The postproduction - editing, grading and soundmix - took ca 4 months to complete. The whole production was made with minimum to no resources, minimum crew, minimum use of camera equipment, but maximum effort, using the help of volunteers and people keen to participate and to explore the topic... something which melted down to the concept of guerrilla film – leave a minimum impact on setting in the field, actively participate and get as close as possible to your subject. 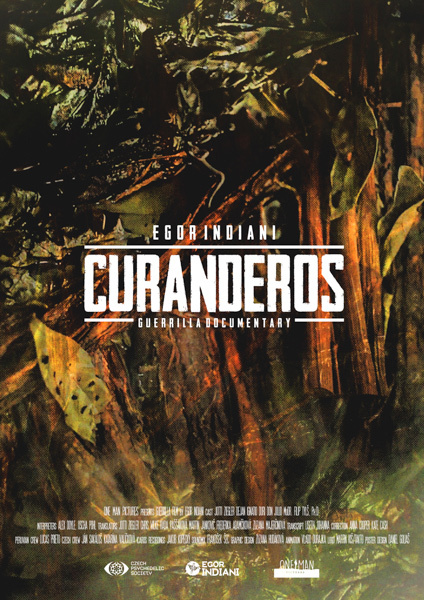 #25: CURANDEROS is a film trip to South America in search for hallucinogenic brew Ayahuasca, about those who work with it, and the environment they work in. It is a mosaic of different perspectives of various people whose intention is the same: to help others. It is not an academic or journalistic study – the film just opens the door for those who are curious to explore. Who wants to... will need to step onto the path themselves... and the plant will do the rest.